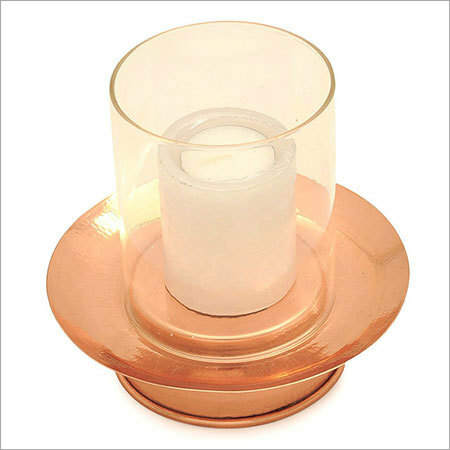 We have designed copper candle holder with hemmed bottom and flat top on which any candle can rest on. It is an optimized version of conventional candle holder that is entirely made from immaculate copper. Our candle holder can be an ideal accessory to offer a minimalist feel to any home decor.